If #Bitcoin is the new game in town, then #YUSCARD could be the next MVP! Provided that it doesn’t forget its first crypto-fundamental: #Data is Gold ! Check the story by #ALTCoinToday, here. This is Crypto Finance or ‘Millenial Finance’, so no need to panic! Things will go UP and then DOWN and then BACK UP, again…it’s ‘Millenial Finance’, don’t you get it?? Check this space to understand what we mean. : This is something ADMP had already talked about, via the #DarKCryptOJeDi, here, when questioning the slowing rates of verification procedures onto the #Blockchain. → VISA could simply be following on the footsteps of #Steemit and others..
* How Deep (good) is the Digital inception? Electronic Counter-PUNCH, (ETC) by #Hermann Djoumessi, MA – ADMP Senior Crypto-Consultant & Editor. 1. ADMPawards : #Digitalinception→ Hello Yusamin Dahirou ! Can you introduce yourself and your Team ? What is your motivation ? – me as the CEO, + 2 people in charge of Business management & finance, one developer, one social media Marketing, one community manager (#Digital Inception). 2. ADMPawards : What is the yuscard Concept ? Can you describe the innovative technology, behind it? Yuscard: The concept of Yuscard is to enable people to inter-connect all financial channels such as Mobile Money (CFA, Naira, Cedis, etc. ), Blockchain, and other cryptocurrency tools into one single channel –> in order to let’s say, do online payment, exchange currency, load or withdraw money, and cash transfer. We use Blockchain and other crypto currency API management system, to inter-connect them with Mobile Money and the Visa card systems, which enable users to access their funds, anywhere at anytime. Hence: Yuscard has no limit → Where #Bitcoin exists, #Yuscards also EXISTS !! . 3. ADMPawards : What does Yuscard bring to the table, that is so innovative? Especially in the financial inclusion struggle : To fight the low rate of banking? (Or ‘Bank the Unbanked’). Yuscard: Using Yuscard, will enable users to face extremely low charges; Moreover, we offer the best currency exchange rate for global money transfer. 4. The industry suffers a lot from scammers and ‘Data’ predators, where do you stand on that? Yuscard: We do not share personal data collected from clients with any organization whatsoever and have very strict security rules, enforced down to our staff. We collect data from clients only to assign a particular/unique card to each users: This made, in order to avoid any mix-up or misunderstandings. All information shared, is strictly confidential to YUSTECHS and our customers. 5. ADMPawards : There are several competitors in the African market. What is the added value of your product? What is the difference between Yuscard and a Paypal or a VISA Cards system ? Yuscard: Yuscard provides a hybrid service; Since we do deal with both crypto and fiat currencies, which enables its users to make money transfer across differnt financial channels, and across borders. It is a unique service. 6. ADMPawards : What is your monthly turnover? How does your business model work?? Yuscard: #Yuscard is running on self-investment with no investor yet. 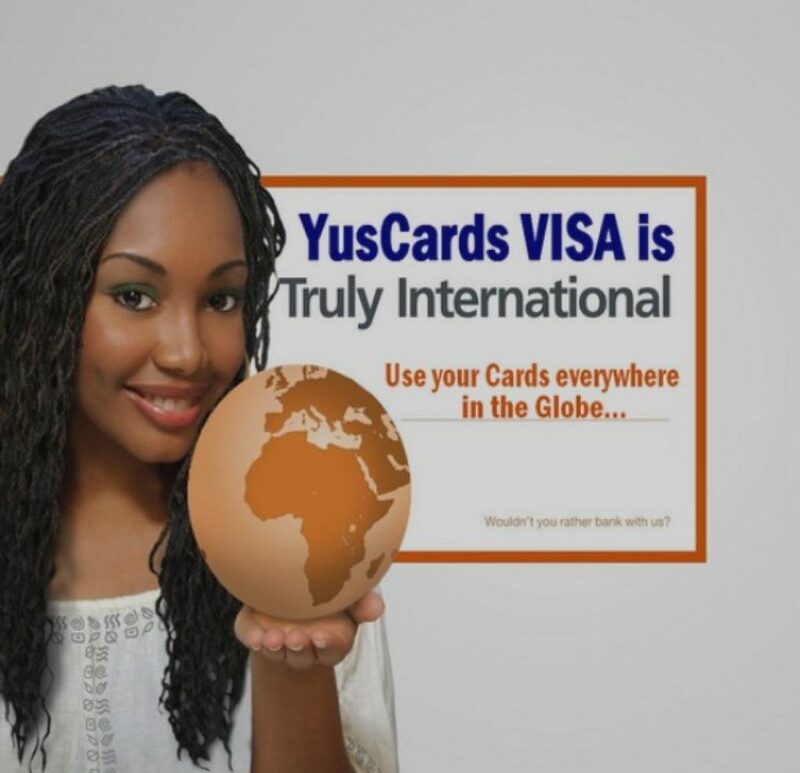 Initially, Yuscard started off with an investment of 200,000 XFA frs and sold just 32 cards within 2 weeks without any advertisement or marketing. We provided a range of services and transactions, like money transfer which generated 1.3 million CFA francs (Roughly $2000). Yuscard has now a 7 figures monthly turnover. 7. ADMPawards : You seem to be running a hybrid system, which does not rely entirely on Bitcoin… How can ADMP help you? More on this fascinating interview? NEXT WEEK! ITW by #Hermann Djoumessi, MA – ADMP Senior Crypto-Consultant & Editor. #ADMP: TOP25 BEST STARTUP BLOG 2018! FIELDBOOM’s best Blogs for startupers! This is amazing your card!!! Really.? Did you try it? Super!!! YUSCARDS est incomparable !! !